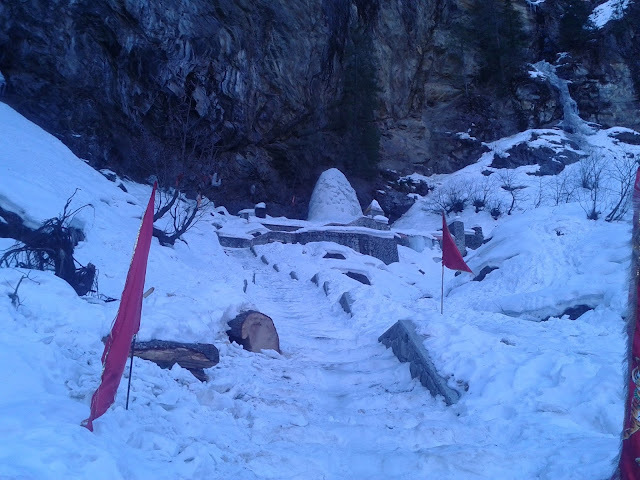 Anjani Mahadev is a holy temple of Devi Anjana (Mother of Lord Hanuman) in Manali where the main attraction is ice Lingam formed by flowing water from mountain. It is said that Devi Anjana meditated at this place. During winters when temperature decreases and the water flowing from the mountains fall at a particular point and at same time due to minus temperature, water freezes and formed a Lingam shape. Some time Lingam attains height up to 20 to 30 feet. And because of same formation procedure of Lingam it is also called Amarnath of Kullu or Chota Amarnath. Thousand of tourist and local devotees visit Anjani Mahadev during mid of December to mid of April. Especially during Shivratri number of devotee offers their prayers and takes holy bath near temple. 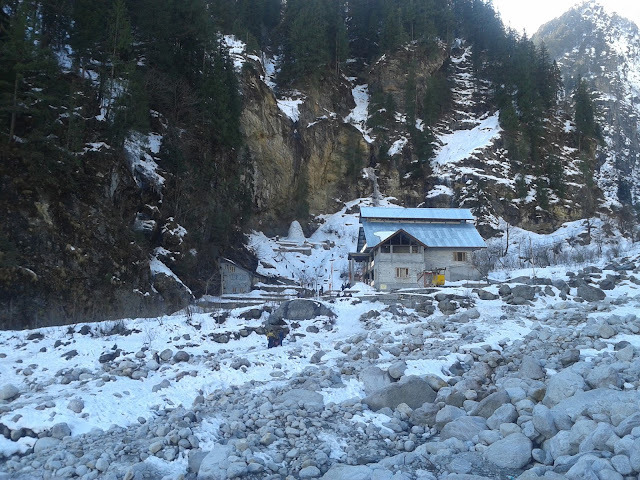 Anjani Mahadev is around 2 kms from Solang Valley (13kms from Manali). There is 40 minutes uphill trek and also horses and taxi are available at Solang valley which takes number of visitors to temple daily.